We invite you to the Avanti Lipids Lunch & Learn Seminar on Tuesday, May 7th at the Annual AOCS Meeting in St. Louis. Read on to find out more! Every year, Avanti sponsors the ASBMB awards, which honor the leaders in the field of lipid science. Find out more about this year’s winners here! We invite you to the Avanti Lipids Breakfast Seminar on Wednesday, June 5th at the Annual ASMS Meeting in Atlanta. Read on to find out more! We at Avanti are lucky to have fostered a relationship with the Membrane Chix, a group of scientists, primarily women, who are faithful Avanti lipid users. Learn more here. Where in the World is Walt? Our founder, Walt Shaw, is always on the move to promote the work we do in lipid biophysics. Read on to learn what he will be up to in March! From problem solving to new product development, the devil is in the details with lipid mass spectrometry. Read on with Avanti Polar Lipids. Scientists studying the role of and analyzing quantities of lipids in biological processes need the highest quality reagents and standards for research. Fortunately, that’s what Avanti provides. At Avanti, we believe in the work of creating the highest purity lipids, and we believe in the team that makes the work possible. Read on to learn more about our culture! As explained in this tech talk from renown lipidomic expert Dr. Robert Murphy, there are three main mass spectrometric approaches that each have their benefits and drawbacks. Exciting new functions for the small (50-100 nm) cellular invaginations, known as caveolae, are being understood! For 50 years, we have made it our mission to provide research and pharmaceutical scientists with the highest purity products. We offer solutions for the entire product cycle-Research to Commercialization. We are dedicated to providing excellent customer service every step of the way! Whether searching for products, placing an order, or taking advantage of our custom synthesis service, please reach out to us during any part of the ordering process. We are here to help! 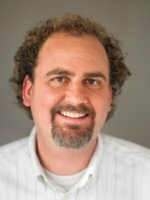 We are pleased to announce that Paul Baker, PhD will be joining Avanti as Director of the Analytical Division beginning in June, 2018. On February 27- March 2, 2016, The Avanti Roadshow will be at the 60th Annual Biophysical Society Meeting in Los Angeles, CA! Year after year, the Biophysical Society Meeting is a great place that brings together some of the leading scientists from around the world. With over 7,000 attendees and 500 speakers, Avanti loves this meeting because it still maintains the “small meeting” feel. It is a great place for learning and networking. Avanti’s new Fluorescent Endocannabinoids may be used to map the impact of various treatments and inhibitors on endocannabinoid uptake and distribution in living cells. PAHSA levels correlate highly with insulin sensitivity and are reduced in adipose tissue and serum of insulin-resistant humans. In adipocytes, PAHSAs signal through GPR120 to enhance insulin-stimulated glucose uptake. Thus, FAHFAs are endogenous lipids with the potential to treat type 2 diabetes. Precision Nanosystems' engineers and scientists will be available to demonstrate the full NanoAssemblr product suite. Dr. Di Bush gave a presentation at CRS in Seattle, Washington. Her presentation covered the selection, preparation and application of liposomes. To see her full presentation click the link below. 14:0 Sphingomyelin. This adds to the list of 19 Natural and Synthetic SM’s and derivatives currently available. This adds to the list of 13 Functionalized PEG Lipids currently available. Whether you are looking for phospholipids, sphingolipids, sterols, or any other of our numerous product offerings, Avanti’s research products are the highest purity lipids on the market and give you the best possibility for success. People do Amazing Things with Our Lipids! Researchers from the National Center for Global Health and Medicine (Tokyo, Japan) are studying the role of PAF signaling in neuropathic pain, a chronic pain condition resulting from injury of the peripheral or central nervous systems. PAF, as well as, ATP and lyophosphatidic acid are thought to be central mediators of neuropathic pain.